What five motorcycles would you like to own today? These are a great times to be a motorcyclist, I keep saying year after year when at every new season we learn about the new bikes becoming available. Of all new motorcycles launched or rumored to be launched, there are some that catch my attention more than others and make it to my “want to have” list. What five motorcycles would you like to own today? I will answer first. Tomorrow things may change, but as of now I have five bikes in my want to have list. 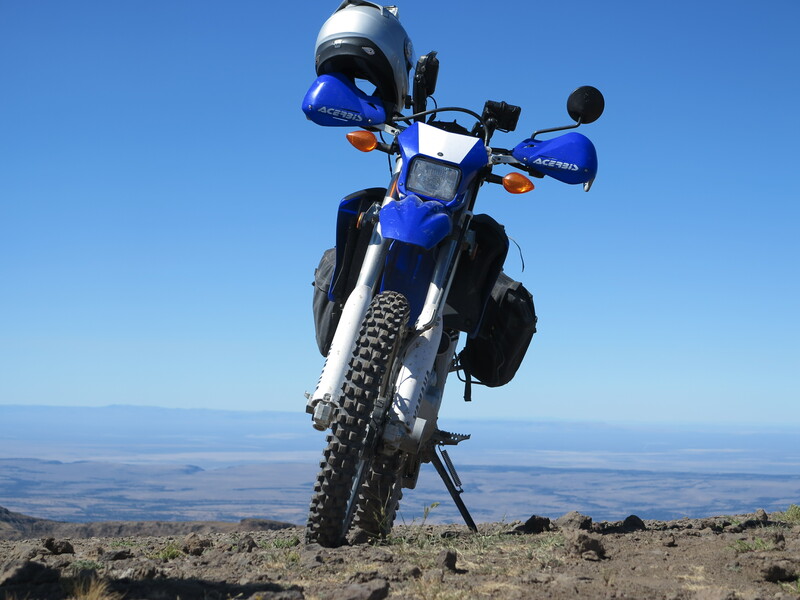 They range from an enduro bike to a sweet mid-size sport touring bike. Disclaimer: I have not seen in the metal any of these bikes, one of them may not exist as far as I know, it’s all based on reports, speculation, you know the drill. And I’m not sure I would actually buy any of these bikes either. All it means is that, as of today, I would like to have them. My bikes… keeping them or thinking about what is next? I will answer the hypothetical question starting with my three bikes. Would I keep them, or would one of these new bikes take their place? Will I be able to stray away from my adventure styled motorcycles? 1. A Sport Touring bike I want to have a sport/touring, adventure styled motorcycle in my line up. My Ducati Mustistrada is by far the best motorcycle I’ve ever owned. The bike is fast and street oriented enough, even if the rider’s ergonomics is not reflective of a typical sport riding position. This bike is also plenty good for long distance touring. I have no complaints about this motorcycle, but could it be better? Maybe. I thought of several of the options that are out there. The Moto Guzzi Stelvio has been included on my list several times in the past, for example, but the idea of giving up Ducati’s immediate throttle response gets the Moto Guzzi out of the list every time. Perhaps the Aprilia Caponord? Nope, heavier and not as powerful either. The KTM 1290? Not quite what I think about for an adventure styled sport touring bike. However, there is a newcomer that will be interesting to test ride one day. It is nothing more nothing less than the new Multistrada. 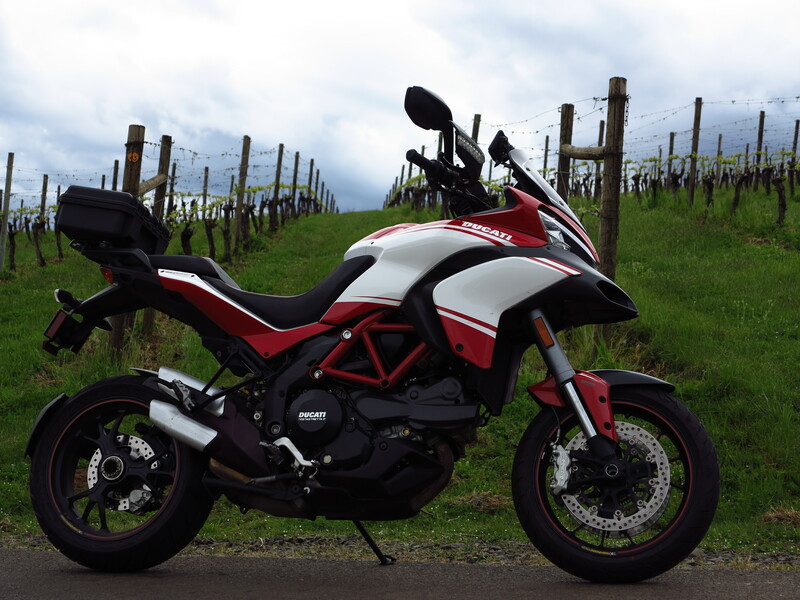 The 2015 Multistrada with DVT (Ducati’s variable valve time) adding more torque and 10 hp (it is never enough…) and better engine stability, and an important safety feature with Bosch’s latest stability control ABS system is no doubt the best candidate for this slot in my shed. It also has other upgrades such as a color TFT dash, cruise control, renewed styling. The list of upgrades and changes is long. There is no question this new Multistrada is the front runner for an upgrade to my Multistrada and makes my short list. The problem is that I still like my Pikes Peak too much to part with it. This upgrade is not something that will happen this year or next, but the 2015 Multistrada is on my short list of want to have motorcycles. 2. An Adventure Motorcycle – A Round-the-World Machine I like having on my set of bikes a true adventure machine. 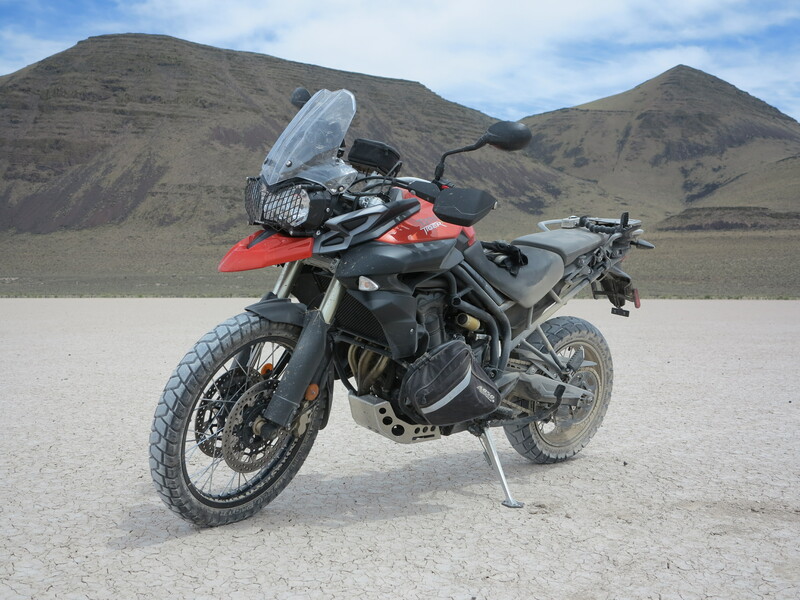 My Triumph Tiger is what most people today consider a typical midsize adventure motorcycle. It is mostly a touring bike, actually, but it has no problem going on gravel and dirt roads at speed. I am actually impressed by how much performance this bike delivers both on road and off pavement. If I were to go on a round the world trip tomorrow (who knows, it could happen), this bike would be ready to go as is. Could it be better? Yes. Several options have come to the market since the time I bought this bike in 2011, including the upgraded 800XC itself, called XCx for the 2015 model year, incorporating throttle by wire, riding modes, traction control, cruise control, and improved and adjustable front and rear suspension. I was looking forward to upgrading my 800XC with the 2015 or 2016 800 XCx version, the 2015 was on my short list. I liked Triumph when to me they represented the underdogs or the come back kid of the motorcycle industry. They offer great products and these products, on their own merit, claim a solid spot on the market share. However, with Triumph flexing its muscles and aiming (and already claiming) to be the number 1 European brand in the United States things change a bit. To get there they are getting rid of dealers who did not fit their new model of operation, including our local shop, Cycle Parts. Triumph has been pretty aggressive through this renewal process. Although they have a great product on the 800 adventure series, they are a less attractive brand to me. Even if I did not take into account Triumph’s off-the-pitch shenanigans, the upgraded Triumph 800 XCx would face tough competition to make it to my short list. The new Honda CRF1000L Africa Twin seems to be just the right product for this mid-size of the adventure segment that I like so much and consider ideal. I’ve been following information on this bike with great interest for more than a year already and what I see and hear so far is making this bike look better and better in my imagination. It looks very promising as a true 50/50 bike and should be out still this year as a production version. What makes this bike replace my Triumph is this Honda’s expected off pavement performance, which will likely be more serious about it than the Triumph is (the Honda is expected to have longer suspension travel for example). The Honda is likely to have more power and more torque than the Triumph as well. Other options for replacing my Triumph Tiger are the KTM 1190 Adventure R, but it is a bit on the heavy, tall and large side of things. I’ve always waited for BMW to upgrade the F800GS with something like an F900GS for example, using the motor BMW developed for the Husqvarna Nuda, with a 270 degree crank (instead of the F800GS’s 360 crank). I’ve given up any hope on BMW improving the F800GS when they launched the F800GSA. That’s not the direction I was hoping for improvements to the F800GS. Although it is a nice product and for some people, range is important. 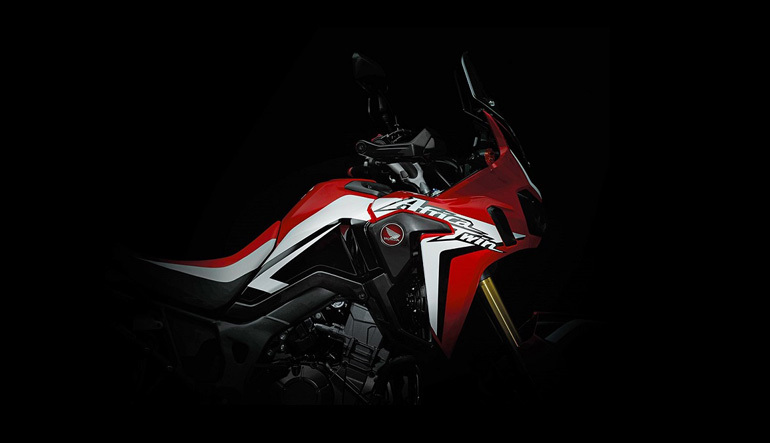 Bottom line, at this point as an upgrade for the 800XC the only candidate for the job is the Honda Africa Twin. Of course, this change is pending more information on this new bike from Honda or any other new and exciting bike that may join this segment in the near future. For now the Honda Africa Twin has a solid footing on my short list. 3. A Dirt Bike? For the times when the conversation goes to true off road riding, there is my Yamaha WR250R. It is not a true dirt bike but it does it all very nicely. However, I have not ridden my WR250R in more than a year already. I’ll be looking at going back to riding this bike this season. Perhaps I need more excitement on that front? 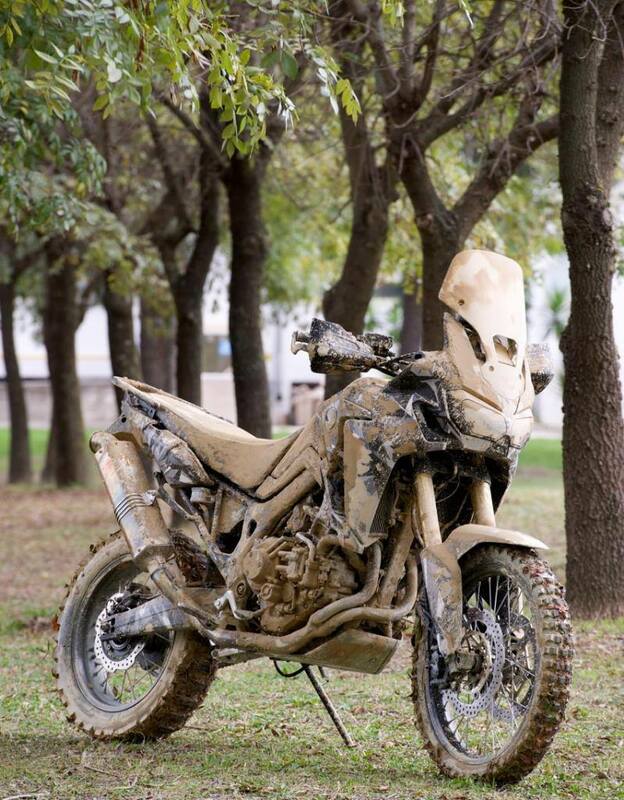 What about a true enduro motorcycle at the 500cc level, for example? 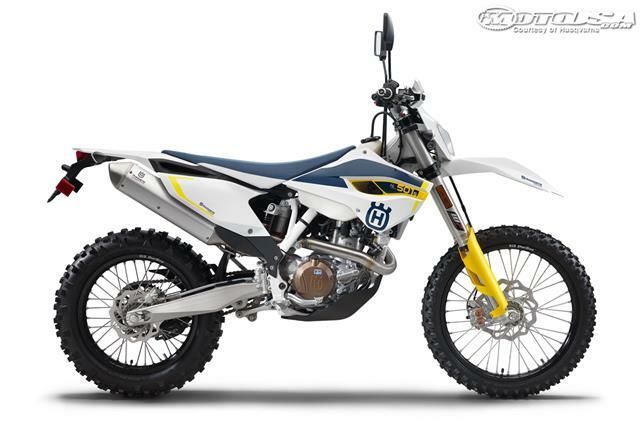 KTM currently offers two versions of the same 500cc bike, and somehow I’m drawn to its Husqvarna version. These are expensive bikes, however. Such an investment would only make sense if I get back into dirt riding. Would a Husqvarna FE501S in my stable bring me the motivation to get back into riding more dirt? I would guess so. For now, though, I will dust off my little WR250R and see if I can enjoy it a little bit more this year… until the time comes for an upgrade. However, I can’t quite shake this one off and we are talking here about want to have bikes… This 500cc bike from KTM/Husqvarna brings me back to the times, decades ago, when my Honda XL250 struggled in a tough uphill battle on a rocky and muddy terrain and as I could hear the motor pinging in first gear, slipping the clutch and all, straining to get going, I always wondered if there would be a bike out there with more power without sacrificing its lightness of being. The WR250R does the job better than my XL250 did. The FE 501S would really do it better, I imagine. For the sake of old times the FE 501S is on my short list. Thinking Outside of the Adventure Box I could say my three bikes are nice bikes on their own niche of the adventure market, individually and as a group of bikes, they offer me plenty of riding options. I’m open to explore new horizons in the motor world, however. No, I’m not talking about cruisers or sportbikes or scooters. Yet. For now, to complete my short list, I have a couple of ideas, but my “outside of the box,” although broadening my riding perspective some, it turns out, is still very close to home. Here are the other two motorcycles on my short list. 4. What about an urban motorcycle? A Scrambler sounds great! An urban bike triggers my imagination. I’ve mentioned on previous posts that I’ve been looking for a more simple, standard looking motorcycle for city riding and for rides that don’t stray too far from town. Something that is easy to get on, a bike that is not too tall to park on tight spots on an urban setting, and one which is maneuverable in city traffic. Just a regular bike, as long as it is fun of course. Originally I was looking for a Triumph Bonneville (a black T100 would be my choice). 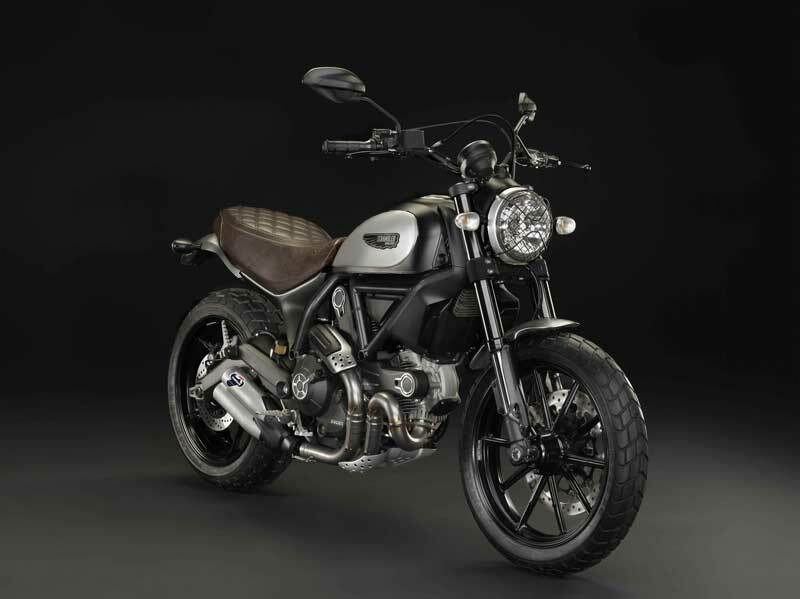 Then I heard about the Ducati Scrambler and decided to wait for it to show up before I made my mind. I have not had a chance to test ride a Ducati Scrambler yet. I really would like to have such a machine as my do it all in town bike, as I can assume the Ducati motor would work really well in such a small package. Meanwhile I had a chance to ride the BMW R nineT. I liked it, enough to consider buying it right away – and I know of a few who did buy after riding it. 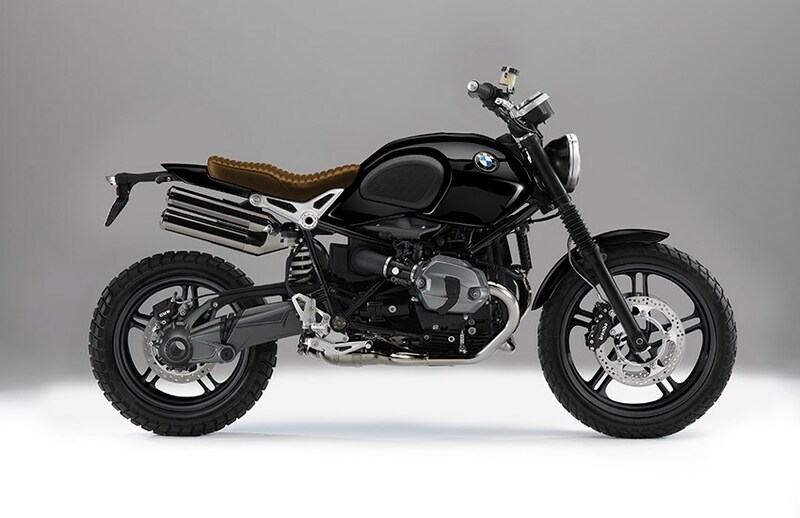 However, I’ve also heard something more fitting to my style could be coming up: a Scrambler version of the R nineT. You see, this is what I meant when I said I could not stray too far from my “adventure box”. Just as a note, in my opinion today’s Scramblers are urban bikes with a dirt inspired design to them, but meant for riding on paved roads primarily, which is the type of riding I want for such a bike. The rumors (yes, these are only rumors at this point) indicate this new BMW would be a somewhat downgraded version of the BMW R nineT in terms of components. I could live with that, especially if the price tag goes down accordingly. I don’t mind less expensive alloy wheels, for example, as I mentioned earlier, this bike would be exclusively an urban machine for me. The below version in black, taken from a set of photoshop variants circulating on the internet (MCN is our friend) would be my choice if BMW ever builds something like this. Although I’ve made a decision to acquire an urban motorcycle, I will wait for a decision about this acquisition. For now, rumors and all, a BMW Scrambler based on the R nineT is on my short list. 5. What about a Sportbike? Would I go as far out of my comfort zone as to add a sportbike to my short list? My Streetfighter was as far away from adventure bikes I’ve ever been. Although it was considered a “naked” bike, the Streetfighter’s basic features put it closer to a sportbike than to anything else out there. I liked it tremendously, especially the direct connection it afforded me with the road. What a nice and raw performing machine it was. What I did not enjoy much was the tight ergos and the low handlebars. I was actually getting used to it by the time I sold it. But there is no question, I fit better the standing up position adventure styled and touring bikes offer. I miss the streetfighter, though. However, the answer is no, I’m not really thinking about a sportbike. On the other hand, I always admired MV Agusta motorcycles, and viewed it as something to look at from the distance, and enjoy the design and technical features. To me MV Agusta represented something exotic, out of reach because of price, dealer network, and primarily because of what they are, motorcycles for top performance on the track, sportbikes and variations on that theme. Having said that, and partly because of that, one MV Agusta made it to my short list! It is something they’ve never done before and which they’ve just launched: an adventure-styled touring motorcycle. With this bike they made their world intersect with mine. It is a bike that is out of their comfort zone, but makes sense to me. It is something new for them, and it would be something new for me. For MV Agusta, this is a bold move, getting out of their high performance street and track machines market. The idea about this bike came from the top. Each Turismo Veloce, at least on the first model year will have a plaque signed by Claudio Castiglioni (not sure about this signature on all first year bikes based on further review), who issued the guidelines for the Turismo Veloce model as one of his last official acts as President of MV Agusta. In their official launch video about this motorcycle at the end, as the credits roll out, the first statement says: “based on an original idea by Claudio Castiglioni.” Claudio Castiglioni died in 2011, at 64. He is associated with bringing Ducati (1980’s) and later MV Agusta (1990’s) back into shape. This bike makes sense to me even if it actually is a sportbike more than a tourer and definitely not an adventure machine. The name says it all: Turismo Veloce (fast touring). I’ve been looking for a smaller Multistrada. I was hoping the Ducati Hyperstrada would be such a motorcycle. I like the Hyperstrada and its 821cc motor, but it still is a Hypermotard at its core and it still looks too much like a supermotard. The Turismo Veloce, although based on the same principle, offers a more refined design and it is a better more mature overall package. 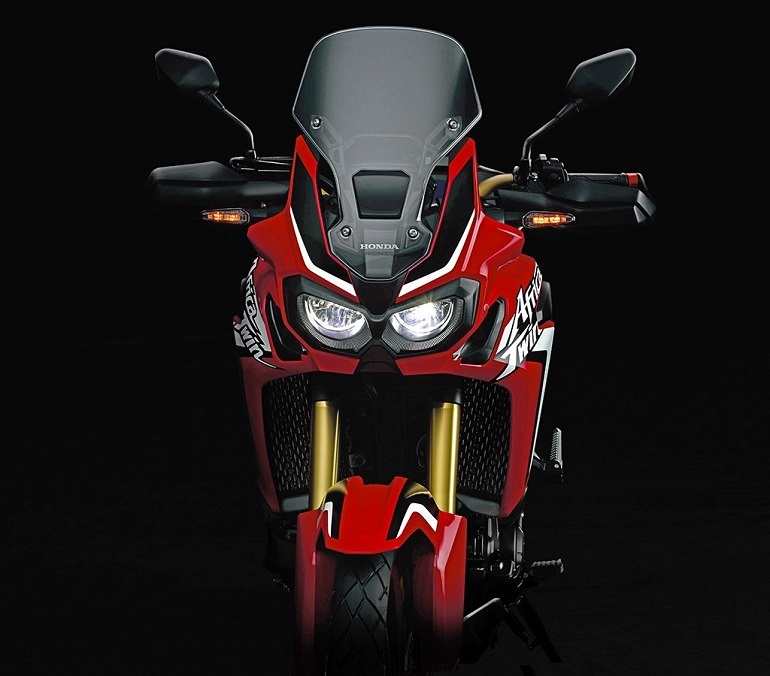 Well, its price is closer to Multistrada’s price than the Hyperstrada’s one. Other than the price, this bike checks several of my like/want boxes. It seems compact without being small. It is powerful without excesses (110hp). I like the Tiger’s triple motor, but always felt the three cylinder motor performed better on the street than on off pavement applications. The MV Agusta has a three cylinder motor, and it has 15 more HP than my Tiger, and it is on a lighter package, and the bike and motor are probably better tuned for the road than the Tiger. It’s gotta be good! 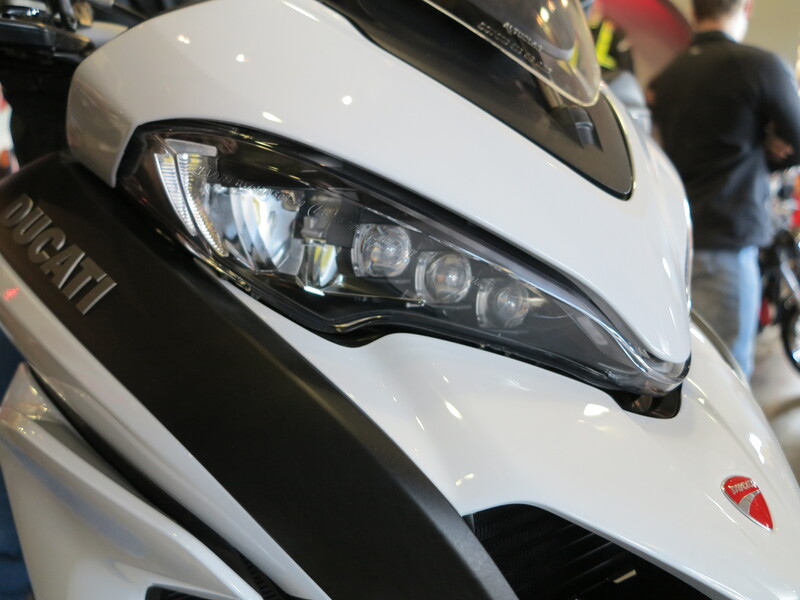 The Turismo Veloce comes with a whole host of electronic features including throttle by wire, riding modes, traction control, Bosch 9+ series ABS (with an on off switch at the handlebars) among other features. And an up and down quick-shifter as well! 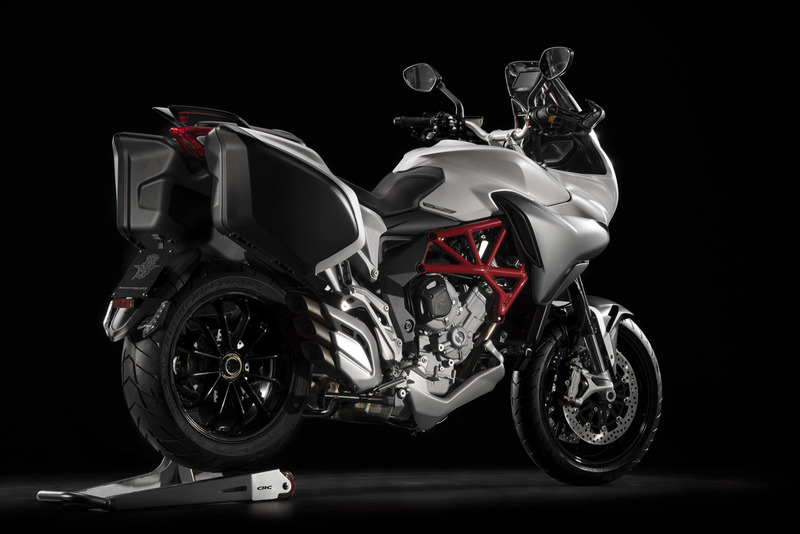 The Lusso version will eventually come equipped with semi-actve suspension by Sachs, not unlike what I have on my 2013 Multistrada. 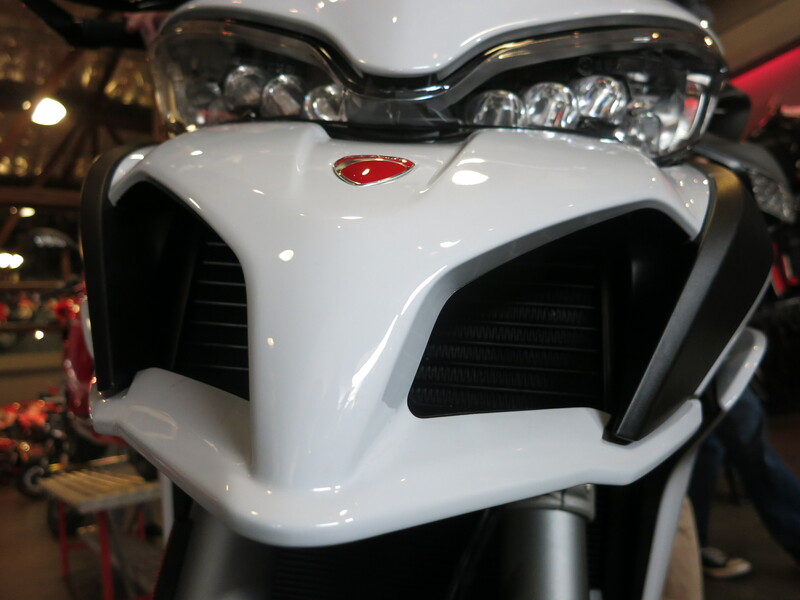 This bike even looks a little bit like the first generation of the Multistrada, although it preserves MV Agusta’s design cues originally developed by Massimo Tamburini for the F4! Among the interesting design features this bike has is the narrow and elegant subframe and a short three-pipes stacked exhaust. 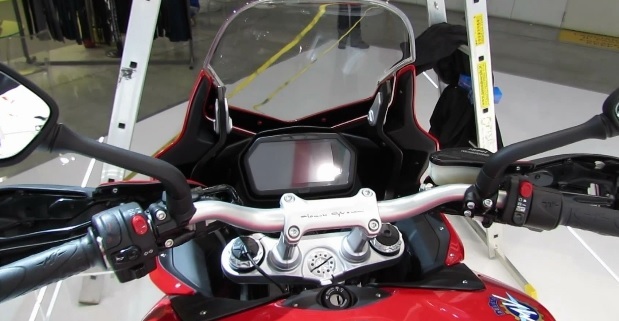 Together they allow for bags to be installed closer to the body, offering a narrow profile (narrower than the handlebars) and without the cut-outs bags from other bikes have to have to accommodate for the exhaust. The bags need to be purchased separately, though. The reviews on this bike from its recent launch in the South of France have been positive, and I have a feeling this bike will bring new riders to the MV Agusta brand. 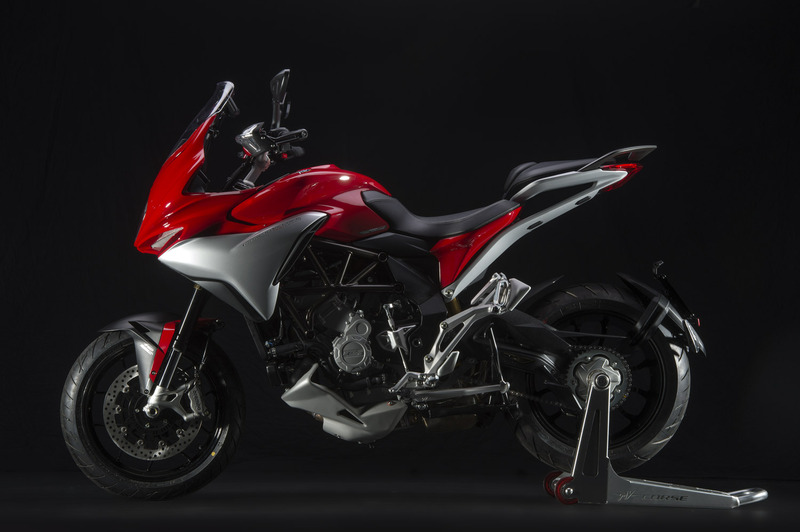 Perhaps it will also bring critcism from the MV Agusta traditional fans: this is not a real MV Agusta, I can hear them saying the same way Ducatisti still complain about the Multistrada. The problem for me, and many others in the United States, is that MV Agusta has a small presence here, with a thin network of dealers. As an example, the closest MV Agusta dealer to me is about five hours north, in the Seattle area. The second closest dealer is in San Francisco, eight hours south from here. Or in Reno, Nevada, also about 8 hours from here. That’s a lot of traveling for anything you may need, such as taking care of a bulletin or recall notice, let alone service. Out of curiosity about this bike I called the MV Agusta dealer in Seattle, Bellevue Motosports, and talked to Bill Boland. He tells me a bike could be here in about a few weeks. When it becomes available I will take a trip to Seattle to see it in the metal and photograph it (they will have two Turismo Veloce Lusso bikes coming, they are likely to be pre-sold by the time they arrive – but I may get a chance to see one of them or even ride one of them). I can imagine drafting a post titled “getting acquainted with MV Agusta” after I get to see these bikes and after I take for a test ride another MV Agusta model they have as a demo at their shop. Now you may be thinking, will this bike replace my Ducati Multistrada? No, this won’t happen. I enjoy the Multistrada too much to get rid of it. 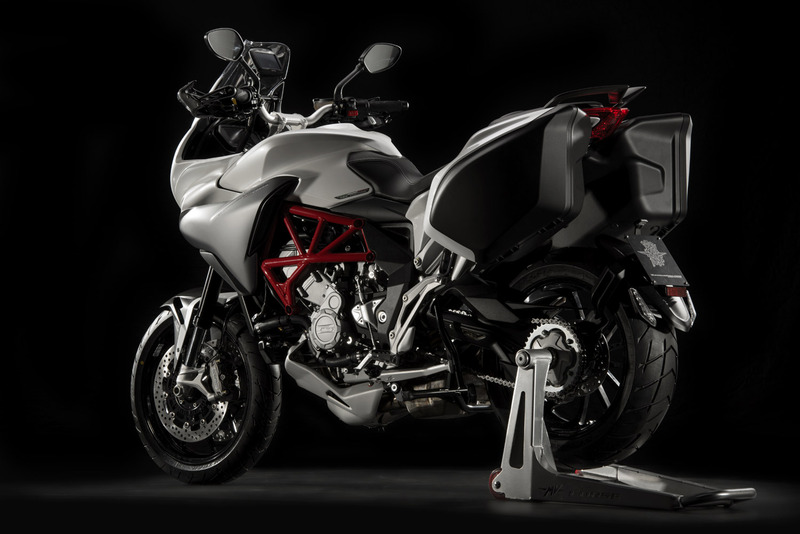 The MV Agusta would indeed be very similar to the Ducati in terms of the type of riding it offers. However, the Ducati’s twin motor is something I like too much (not even considering the DVT version with 160 horses). Nothing like twisting the throttle and feeling how the bike accelerates and how the V-twin motor feels effortless as it goes about it. In comparison I expect the Turismo Veloce would be a more nimble bike and its three cylinder motor will give a different set of fun parameters. After all, we are talking about the dream line up here. And in that case, the Turismo Veloce, as of today, is on my short list, together with the Ducati. 1. 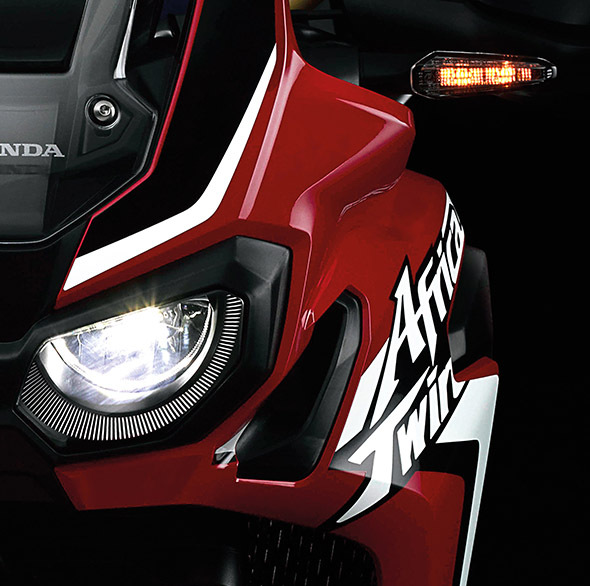 Honda Africa Twin. It is the main candidate to replace my Triumph Tiger. It should be available for the American market by the Spring of 2016. 2. 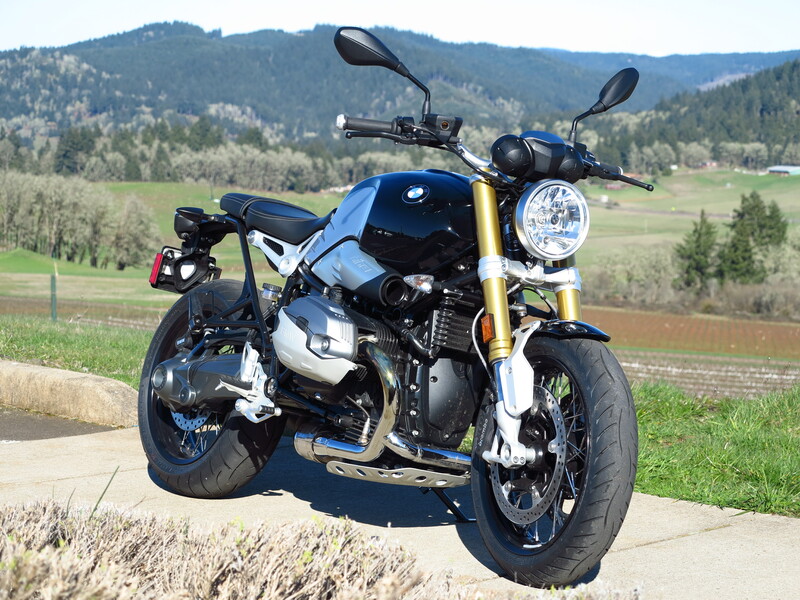 BMW Scrambler (an R nineT – based bike?). 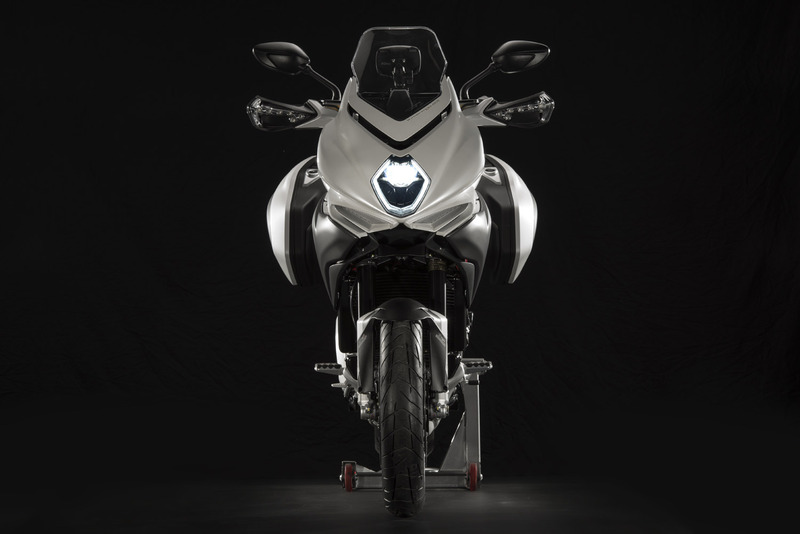 This BMW bike needs to exist first, of course. Assuming it does, it gets on my list. 3. MV Agusta Turismo Veloce Lusso. It is looking like a nice and sweet bike, the Italian in me says. It checks many of my want boxes. In principle it would not replace any of my bikes. I would wait for the Lusso version, which comes equipped with semi-active suspension. 4. Husqvarna FE 501S. Lighter and more powerful than my WR250R, it would be fitting as something I used to dream about since a long time ago. The WR250R is a great bike but in my current short list the WR250R would go and the FE 501S would take its place. 5. Ducati Multistrada DVT. It is last on my list just because I can’t see myself getting rid of my 2013 Pikes Peak Multistrada yet. The new Multistrada is on this list for when the time comes for my Pikes Peak to go. Wild Card. I’m allowing for something extra here. I’ve been thinking about vintage bikes for a while already, a bike I could work on and enjoy it at a different level. 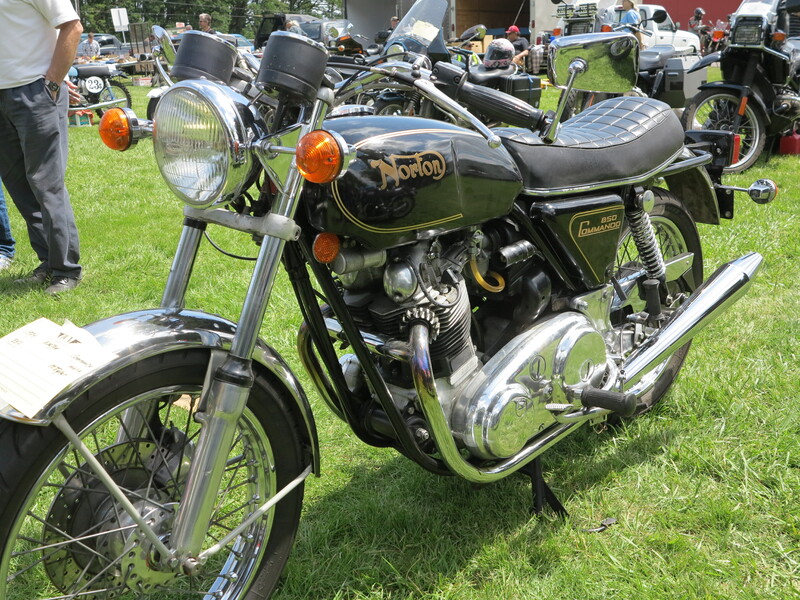 A Norton Commando 850 comes to mind. Other options include a 1970’s BMW or same vintage Moto Guzzi, etc. Who knows, it is always a possibility. What bikes are on your short list? This entry was posted in Bike Reviews and tagged Africa Twin, BMW Scrambler, FE 501S, Multistrada DVT, MV Agusta, Turismo Veloce. Bookmark the permalink. 6 Responses to What five motorcycles would you like to own today? Give me a shout when you’re in Seattle if you want to get together and share stories of the road! 3. Triumph 900 scrambler – Nice modern classic doubles as a classic. 4, 5. No more room in the garage. 1. Tiger 800XC. There’s no ADV bike more versatile when it comes to ALL touring duties. A passable dirt trekker on forest service roads and even some single track when down low; a slightly hefty Street Triple up top. It has a flawless transmission/gearbox, sublime balance, and seems largely bulletproof. 2. 8th Gen Honda VFR800F Interceptor. Sporty yet comfortable indestructable V4. Fit-and-finish is flawless, and after a good dyno tune (plus PCV and Two Bros. S1r pipe), the throttle response and power curve are impeccable — the VTEC changeover is now a mere audio cue that THE FUN BEGINS. It’s like a sensible man’s Ducati. 3. Honda Grom. It needs a slightly bigger displacement (170-180cc), but in a small pack of fellows, it’s the most urban fun imaginable. 4. 2016 Aprilia Tuono V4 1100 RF. I previously owned a 2014 Tuono until a stator + LCD failure encouraged me to switch to the Viffer. Still, peerless and refined backroads blasting and the best electronics package — bar none — made me wish I hadn’t been so hasty. The new model adds seat comfort and even MORE juice. 5. Victory Gunner. The only cruiser I’ve ever enjoyed riding. Great throttle response, stripped-down bad boy looks, amazing fit-and-finish, and passable corner clearance. Needs a place in my garage for those laid back group rides. I ride a 2014 Multistrada and it’s without a doubt, the best motorcycle I’ve ever owned. I have your detailed writings to thank for pushing me over the edge to purchase the Multi. Thank you! Looking forward to your reviews of the Veloce and other MVs. The Veloce is gorgeous and I’m interested to hear what you think. Enjoy the ride.